New York-based KPMG LLP (FY12 net revenue of $5.8 billion) named Matt Kramer as MP of its Columbus, Ohio, office, effective March 1. In his new role, Kramer will be responsible for the strategic direction and growth of the office. For the past 11 years, he has led KPMG’s fast-growing advisory practice in Columbus, serving clients in retail, manufacturing, financial services and health care. 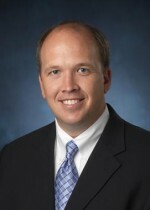 He joined the Columbus office in 1993 and was named a partner in 2004. Kramer succeeds Philip Smith, who will be assuming a national market development leadership position with the firm. 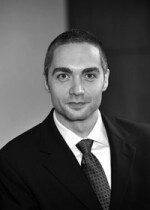 Michael Zyborowicz, a director with New York-based Citrin Cooperman (FY12 net revenue $131.6 million), has been named a top “40 Under 40” professional by the Philadelphia Business Journal. Each year, the Philadelphia Business Journal recognizes the most dynamic up-and-coming young business professionals in the Philadelphia area. Winning candidates demonstrate business success, community involvement, leadership ability and influence in the region. Zyborowicz, who lives in Philadelphia, has been very involved in his community. In 2013, he was elected treasurer of the board of directors of the Legal Clinic for the Disabled, a nonprofit that provides free legal services to low-income people with physical disabilities and to the deaf and hard-of-hearing in Philadelphia and its suburban counties. West Hartford, Conn.-based BlumShapiro (FY12 net revenue of $47.8 million) admitted Peter Lang as a partner in the firm’s consulting practice. Lang comes to BlumShapiro with significant experience in manufacturing operations, information systems and technology deployment, performance management, business transformation and organizational change, among other areas. “With his extensive background, Peter is well positioned to play an integral role in growing BlumShapiro’s management and operation consulting practice in the Boston area,” says Carl Johnson, MP at BlumShapiro. Lang will be based in the firm’s Newton, Mass., office.